Featuring a whole range of subtle new touches. UPDATE: John Elliott has just updated its site with a pre-release link. Those looking to get the jump on the Nike Air Force 1 Low ”Double Tongue” can head on over to the early access site now for registration. 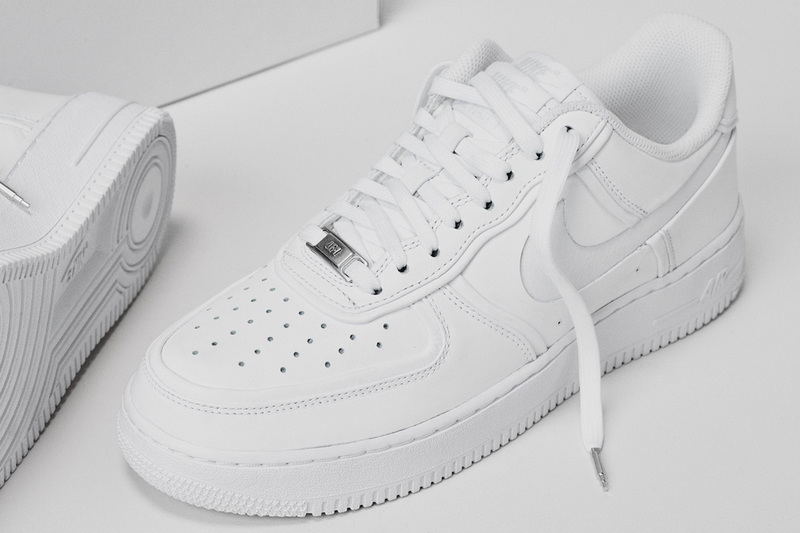 After making its first appearance at HYPEFEST, John Elliott‘s new Nike Air Force 1 Low collaboration now has a full release date. The sneaker comes in a simple all-white colorway which belies the intricacy of its detailing. Arguably the stand-out feature is the double tongue and repeated lacing eyelets. Other features of the silhouette include a cut-away Swoosh, with the pebbled leather branding sitting beneath the raised smooth upper, and cascading lace tips. Take an up-close look at the sneaker in the gallery above, and expect it to hit select retailers including the John Elliott web store on October 13. In other footwear news, Nike is bringing back the ACG Okwahn II. Military and workwear-inspired restaurant gear. An Official Look at Nike's China-Exclusive Air Force 1 High QS "The Bund"
Inspired by Shanghai’s iconic waterfront area. A striking blend of three tones. A luxe modern spin on the retro silhouette.